ensure zero disruption to business continuity. Get Seamless Migration with Zero Downtime! Designing the report using the Pentaho Report designer, by specifying the working query and by following the template design required. Editing the reports using Pentaho Report Designer to accept parameters from the user, Jndi name, etc. Business Objects installation in Four (Mock Server/Development/Quality/Production) environments and Solman integration with Business Objects. Any BW objects that were created and developed in BW development system were tested only in the development system and straight away moved to BW Production system. This caused for many issues to occur as testing was not done properly due to the absence of a dedicated BW Quality system which led to numerous issue fixing in Development and Production. In the event of occurrence of an unforeseen contingency in BW Production system, there was no fall back system to serve as an acting BW Production system until the primary BW Production system is fixed. This impacted the business decision making in a significant manner as all the dashboards and reports would be offline until the BW Production system is fixed. When moving to a new system built in-house or purchased from a vendor, in any case, data migration is a key factor. Surveys indicate that 20 – 40% of the cost of any new system project is dedicated to migrating data from legacy systems to the new application. We understand this.Hence, Gray Matter migration services makes your data move as fast and as smooth as possible by employing a feature-rich data migration framework and established methodology. 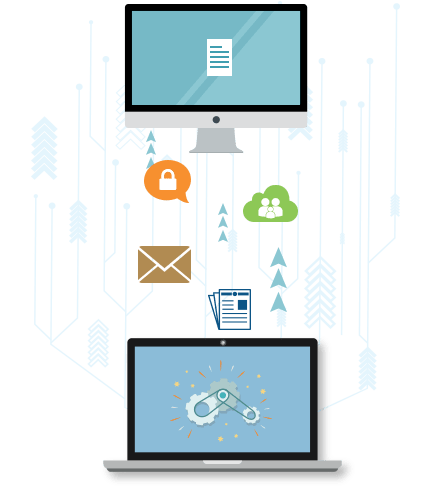 Our data migration services possess a coherent strategy comprised of a structured methodology, robust toolset and specialist expertise to initiate successful, on-time and high quality data migration. Our world class team with in-depth experience deliver data migration which leads to increased data quality and reduced risk to continued business operations. Gray Matter with its extensive experience in Data Warehousing, Business Intelligence and Dashboards assists you with seamlessly integrating and leveraging the Qlik. We offer broad range of services to help our clients to analyse and migrate data efficiency using our Qlik support. We help with implementing, enhancing and maintaining Qlik based Business Intelligence and Analytics. We are proficient in managing Qlik environment ensuring high availability , high performance and seamless data migration services. It’s time to focus on project resources and business functionalities by lowering your data migration costs and delivering excellence on time, within budget.